Cypress Semiconductor Corp. (CY) Q4 earnings and revenue surpassed analysts’ estimates. The company reported EPS of $0.35 on revenue of $604.5 million. Analysts estimated the embedded solutions provider to post earnings of 33 cents per share on revenue of $598.9 million. Shares of Cypress Semiconductor jumped about 5% during the extended hours. Microcontroller and Connectivity Division’s revenue was inched down 0.4%, while the Memory Products Division revenue grew 3.5% compared to the year-ago quarter. 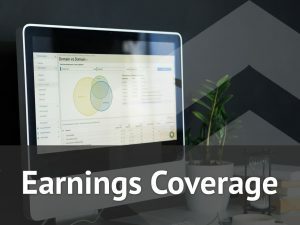 For the first quarter of 2019, Cypress expects revenue to be in the range of $520 million to $550 million. GAAP EPS is expected to come in the range of $0.00 to $0.04 and non-GAAP EPS is touted to be in the range of $0.22 to $0.26. “While the current demand environment remains somewhat uncertain, we are focused on what we can control and we will continue disciplined investments that will drive many of today’s megatrends in the automotive, industrial and IoT markets,” said CEO Hassane El-Khoury. Cypress Semiconductor’s tier-1 customer list include Amazon (AMZN), Apple (AAPL), Roku (ROKU), Nintendo in the consumer end market; Ford (F), Bosch, Toyota and BMW in the automotive; Siemens, Boston Scientific (BSX) and Mitsubishi in the industrial; and Microsoft (MSFT), Cisco (CSCO), Juniper Networks (JNPR), Lenovo and Dell in the enterprise end market. Two distributors accounted for 17% and 14% of revenue in Q4 2018. Cypress paid a quarterly cash dividend of 11 cents per share on January 17, 2019, to shareholders of record as of December 27, 2018. Semiconductor stocks have been facing the heat after the semiconductor giant Nvidia (NVDA) lowered its Q4 revenue outlook on Monday. However, after Advanced Micro Devices (AMD) reported stronger results, the Philadelphia Semiconductor Index rose about 3% on Wednesday and was flat today. Cypress stock, which closed down 1.35% at $13.87 on Thursday, had gained 9% in the last 30 days and 1% in the last three months period.